Special Halloween Slaughter house visit: I shoot Zombies in the face! Join Survivor #1, Victim #1 and myself try and survive the Tucson Slaughter house! Please come on down and enjoy the Slaughter house and the Apocalypse yourself! Edge of Empire: Scum and Villainy- Chapter Ten: We got a bonus! Join Me and Dan (Human Jedi Counselor Danvoss), JJ (a Togruda Jedi Seeker, Mr Fuchsia...), Duncan (The Chadra fan Gunner Erdek Todek) and the mysterious "Mr. Pink! "(The Gunslinger Tom Jones). As we gear up for our first session of Fantasy Flights Force and Destiney, Edge of Empire and Age of Rebellion set during the Clone wars! This Podcast will be every other Monday opposite of Edge of Empire: Scum and Villainy! Part two will be post next Monday. Join Me and Dan (Human Jedi Counselor Danvoss), JJ (a Togruda Jedi Seeker, Mr Fuchsia...), Duncan (The Chadra fan Gunner Erdek Todek) and the mysterious "Mr. Pink! "(The Gunslinger Tom Jones). As we gear up for our first session of Fantasy Flights Force and Destiney, Edge of Empire and Age of Rebellion set during the Clone wars! This episode is introducing our cast to each other and a quick run down on the system. "Someone's going to get Tetanus"
Edge of Empire: Scum and Villainy- Chapter Nine: We have a Job to do! RinCon 2015 in Review: Panel: Is Kickstarter still a thing? The audio's a little rough but I tried to clean it up where i could. The Henchmen Vs The Gadgeteer's Space Station! Trevor and I Got to sit down and try a new unpublished game ate Rincon this year: Villains & Henchmen! We have a really fun time as the Assassin and Cyborg along with the rest of the team trying to smash down force fields and kick in doors in order to bust out our Boss! Here what Ben has to say about his great new product plus some great behind the scenes things about self publishing. 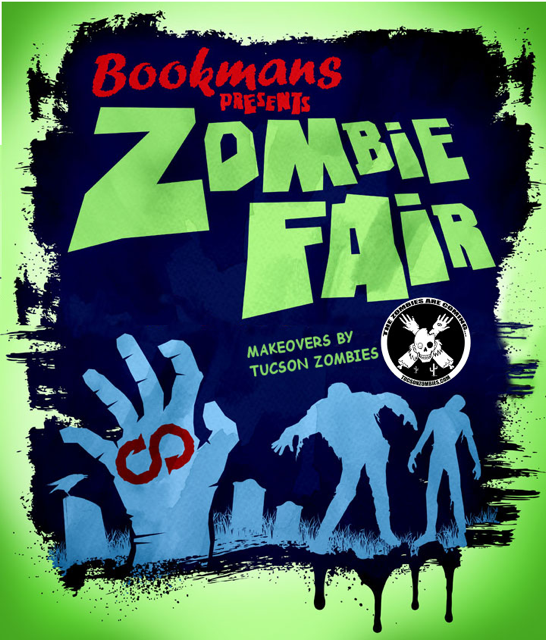 Great shout outs for BookMans, Tucson Comicon, Tucson Zombies, Hector Ceniceroes (Great Artist! ), JE Gurley (Zombie novel Author and Dr Zom. B.) and the Chemis-tea girls! Also October 10th the Mos Eisley chapter of the Rebel legion will be at Bookmans 11am-3pm for the Official Bookmans Star wars event that's going to be HUGE! RinCon 2015 in Review: Villains & Henchmen!